After the 2016 Clinton defeat the founders of Memphis for All concluded that status quo Democratic Party politics had moved away from a core progressive agenda because it was so disconnected from progressive constituencies and bases, particularly Black and other working-class communities of color and multiracial unions. It was clear to them that a Left-progressive movement could not place its bets on the Democratic Party alone because they never talk to the folks who play a leading role in the progressive electorate. They wanted to build something for, by and with the people who they believe will be at the forefront of any progressive change in this country. 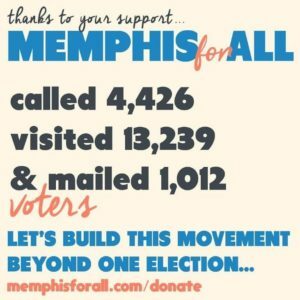 Memphis for All started meeting in December 2016—initially as Our Revolution 901 (the Memphis area code) and soon started deep canvassing in working class Black neighborhoods. As a new independent political organization, Memphis for All made a commitment to cultivate and support progressive candidates, especially working-class women of color. It committed to act in solidarity with community organizations and social movements to take action not just in the ballot box, but in the streets. 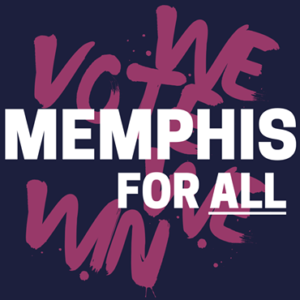 Memphis for All also believed that just connecting with voters wasn’t going to be enough if it didn’t also demonstrate what it wanted, who it supported, and what Memphis for All members, together, could do to shape the political terrain. Memphis For All is fighting to build a different kind of city and state, one that is run for and by all of us. 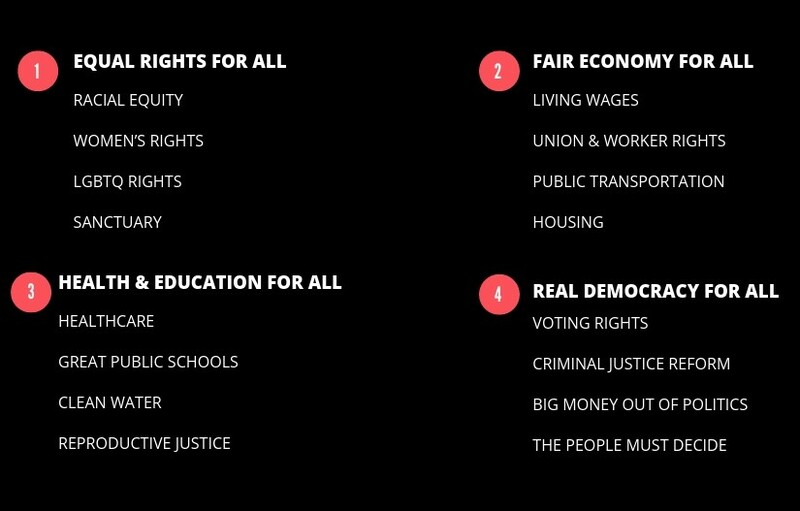 We need an economy that works for all of us, instead of one rigged for corporations; we need a legal system that treats everyone fairly, instead of one rigged against Black and Brown people; and we need a democracy that is truly run for and by the people. INTERVIEW: How did each of you got involved with Memphis for All? April: I’m new to organizing; my background is originally education. I have found it very interesting to get with M4A because my education work, was in the urban areas and I was dealing with troubled behaviors. I wanted to shift gears and do something that focused on how to solve some of those umbrella issues. In Memphis for All, the target is really trying to make changes in those areas that aren’t seeing the changes they need or aren’t getting the resources they need. They don’t have a voice—someone to speak for them or people that are knowledgeable of the different ways that they can make change. What are some of the things that M4A accomplished in its first year? 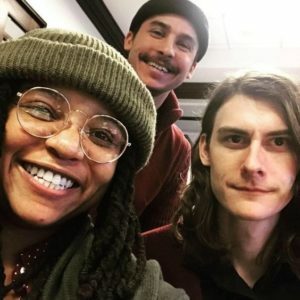 Bennett: We were instrumental in our early stages around the Shelby County general elections in supporting Tami Sawyer, who’s a Black woman progressive and all-around badass who won for County Commissioner. We also supported Lee Harris, a progressive, in his bid for County Mayor, and he won. A few of the other candidates Memphis for All endorsed in the mid-term elections won: Katrina Robinson for State Senate in District 33 and London Lamar for State Representative in District 91. We also supported Gabby Salinas, a candidate who was running for State Senate District 31 and she came really close. It was the first time that the ALEC Republican in that district had ever been challenged, and Gabi lost by only 1% of the vote–1300 votes. Those victories are really helping us launch into working around the City elections, because now people see us as important! In the 2018 elections, Memphis for All was able to mobilize a lot of our own members and to hire 33 part-time canvassers. We also worked with a volunteer group of women from Boston and New York who flew down just to canvas with us—that was really special and fun. Freedom Road also organized a brigade that brought 25 people to canvas with Memphis for All for 4 days in July. We targeted strategic areas and three types of voters. In electoral work, there’s a lot of emphasis on voter registration; but we saw that there were a lot of already-registered voters who would vote for progressive policies and candidates if they started voting in local elections. We knew that it was possible to mobilize these folks, and if we had enough resources and enough canvassing that we could steal some districts from the Republicans. White voters 18-45 who have voted in at least 1 Democratic primary; i.e. young white liberal and progressive voters. Active progressive voters who have voted in 2 of 4 Democratic primaries—i. e the core base of the Democratic Party and who are traditional gotv targets. Voters who are part of labor unions, faith-based justice organizations and other organized constituencies. 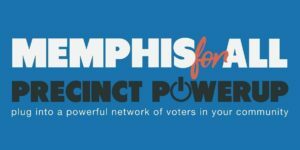 Memphis for All collaborates with these network partners to amplify voter contact and mobilization. How many of the folks who you met out there continued to engage with Memphis for All as members, leaders or any other way? Bennett: Currently our membership is around 730 folks who we asked to sign pledge cards as we knocked doors and attended events. We’re finding out where members live and are engaging with them around hosting precinct meetings, which started in February. We talk about ways that we can build up that precinct’s influence in the district. We talk about voter suppression and see what sort of energy there is for working block by block within that precinct to increase voter turnout and have an impact. April: Before starting precinct meetings, we spend a lot of time assessing pledge cards—where people live, whether they vote, what they signed up to do. So when we get ready to target a certain precinct, we have already an organized list of people we call, inviting them out to these meetings. That will give us a better sense of what areas we may want to target when it comes to endorsing a candidate. Or if certain issues are going on, we may have some people on board already to organize some groups for their neighborhoods to address the issues, attend public meetings. Bennett: In looking at the numbers in every district and every precinct and the results from the mid-term elections, we’re also trying to get a strategic plan for where we can put our efforts. Where we’re needed the most. Where we have the most members. When is your next round of elections? Bennett: The Memphis Municipal elections–for City Mayor and City Council—will be in October. The 2018 elections were for Shelby County, which also includes all the communities surrounding Memphis. It’s a two-tiered government that they created to keep Memphis in check. All the white folks who moved out East and created little towns wanted to maintain control over the urban core, so they created Shelby County Government. Now Shelby County Government is controlled by Democrats, with a new progressive Democratic Mayor, Lee Harris, who is a member of UCW (United Campus Workers). 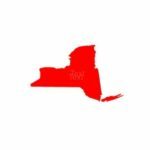 They have already raised the minimum wage for temporary county workers to $15 an hour, and there’s a lot more possibility on that front. 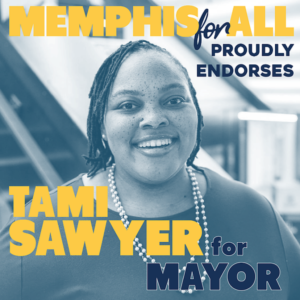 We just made our first endorsement for the 2019 City elections—Tami Sawyer, who we helped elect as District 7 Shelby County Commissioner last year! There’s going to be new voting machines and new potential for voter suppression in this election that’s coming up. Last year the Election Commission was sued for opening voting locations for early voting in predominantly white precincts in East Memphis, and not opening voting locations in predominantly Black parts of town, in Memphis. It was taken to court by the NAACP and others. They won; but you have to keep watching for stuff like that. And the upcoming municipal elections are non-partisan, so the electorate doesn’t have that institutional support to keep an eye on things. When you talk about institutional support, are you talking about the Democratic Party or are you talking about other kinds of local organizations? 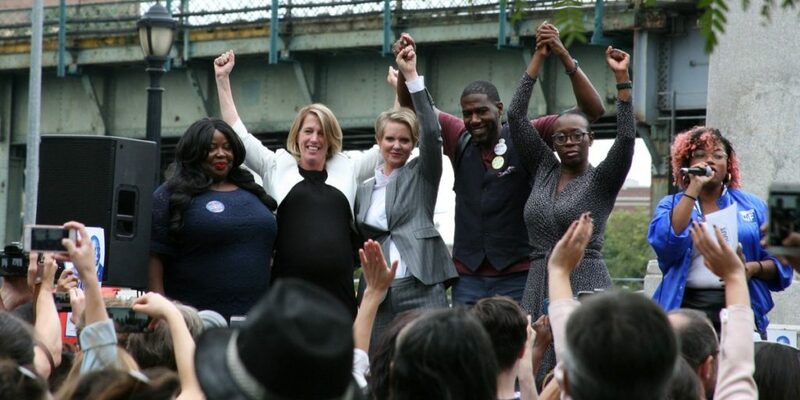 The statewide Party also has that kind of funding and that power, but getting support from the State Democratic Party for our candidates–for progressive women of color–is not so easy. That’s definitely why we saw Gabi Salinas lose in the mid-terms. We have had to push those folks to invest where it counts, when it counts. What is your vision for where Memphis for All could be in a year? In 5 years? April: Personally, I want Memphis for All to have a great impact on the voting turnout. I don’t think that voting has ever been as big a deal as it is now, especially with younger people. And I think that it’s going to take some progressive-type people to really get in the seat and push people to get out and vote, to see what type of change we can make. I’m only 31 and when I did start to vote it was in 2008, we saw the type of change it made. I see this organization as being a power giant in that field: getting people out there, getting them understanding what their vote means. We’re already getting known for taking Memphis and Shelby County beyond—raising their voting turnout so much that it’s nationally covered. The Memphis electorate is a sleeping giant. It can flip Tennessee and lead a movement for deep change. But our communities are shut out and left behind in the political process – including by big dollar donors. Deep grassroots organizing and community leadership development can shift the balance. This is the work of Memphis For All. Bennett: In Memphis, we have the highest number of non-profits per capita in the U.S. With all of that, you would think there would be a lot more civic engagement and community power, but we don’t see that. We really get out and engage with neighborhood leaders and folks. We are not just trying to get them to join Memphis for All, but also giving them something they can use to organize and have a voice: like all the phone numbers in their neighborhood if they want to call folks and make sure to go to vote early. Or information about a hearing on a certain policy in city government, so neighborhood folks can turn out and participate. And we need to continue to build our influence and our power with voters. The reason we have such an electoral orientation is because we don’t have a choice–we’re pushed into a corner. We can’t abandon the ballot box because our Tennessee state legislature, which is completely controlled by white supremacists and billionaires, is passing legislation that affects us in Memphis. And we have no control over it. State Government is a front we can’t really ignore, that we have to work on. ALEC, the American Legislative Exchange Council, was founded nearly 40-year-old by the Koch Brothers to connects members of the business community with Republican state lawmakers to promote a far right-wing state legislative agenda.